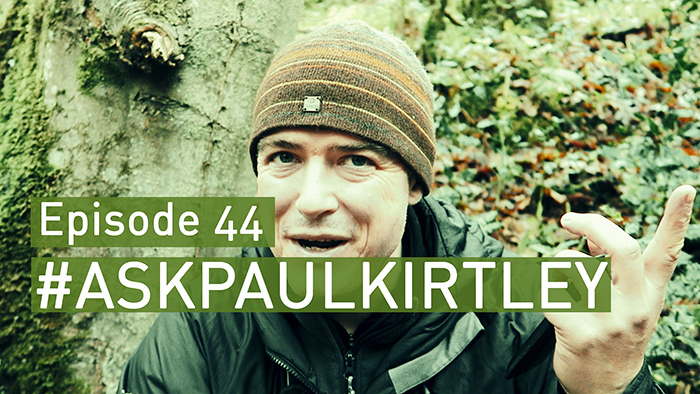 In this episode of #AskPaulKirtley I answer questions about food for longer trips and expeditions, choosing expedition companions, foraging for calories, valuable lessons and learning from mistakes, tarp and bivvy for colder months, drinking while tramping in dry areas, tree and plant ID guides. Regarding companions, what I tend to do it go on shorter or overnight trips in order to get to know the people better, their strengths and weaknesses that way I am better able to judge on who I would like with me on longer trips. Thanks Jon, glad you liked the episode. Yes, I think the short trip strategy for sounding people out is a good one. Another great episode enjoyed in the usual environment. Regarding the tree plant ID course, I am currently on the course and can not recommend it highly enough. I have tried all sorts to gain some knowledge in this area to no avail and was a sceptical and reluctant purchaser of this course, having never tried internet learning before. It is pretty much the best thing I have spent money on for many years; it would not be an exaggeration to say it has been priceless for me. The content is enormous and it provides the motivation to go out and get the practical experience: which is essential. If you are like I was, and want this kind of knowledge and are willing to put some effort in to get it – then simply go on this course. You will not regret it. Thank you Mick. I knew you were enjoying the course and have made great progress with your tree and plant ID. This comment, however, has even for me – the course leader – brought into sharp focus just how much you have valued the course and its content. Hi Paul, another excellent insightful video.It’s always good to learn new things. We appreciate all your hard work and effort. Hi Jim, yes every environment is different but seashores are typically some of the richest habitats wherever you roam. Thanks for your kind words about this episode. Much appreciated coming from you. Hi Paul, thanks for another useful episode, full of tips and knowledge. The tip about eating enough carbs to help maintain hydration is excellent. On a route march,(back in the day), one of our group had been trying to shed some weight through cutting down on carbs in his diet. This resulted in him collapsing with an intense headache and severe cramps. If I wasn`t disabled I would love to still be doing more but your generous time and effort helps to keep my mind remembering good times and some of the “errors of judgement”….. Interesting story regarding your experience on the route march with a carb deficient comrade. Thanks for sharing this extra colour and context for what we were discussing in the episode. This is what I love about the community around my blog – so many people with valuable experiences to share. Thanks. And I’m glad that this site also provides a point of focus for things you can no longer do but also bring back some memories.